It’s been two weeks since the Madison College softball team finished its spring break trip. Thanks to the weather, the team has only two games during that time. 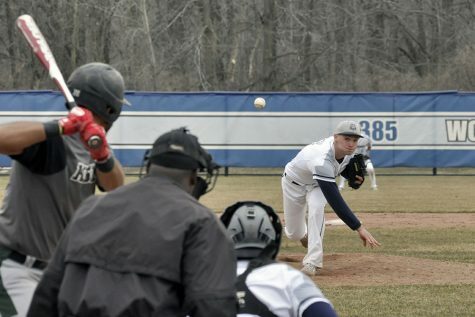 Thanks to their strong hitting, both of those games were blow-out wins as Madison College beat Black Hawk College-Moline, 9-1 and 16-9, in a doubleheader on April 6. The team is now 16-6 overall. The first game saw the WolfPack pound out 14 hits for 9-1 victory in six innings. Paige Cornelissen and Montana Platts both had three hits in the game. Cornelissen has a triple and a double, while Nicole Ferch hit a three-run home run. 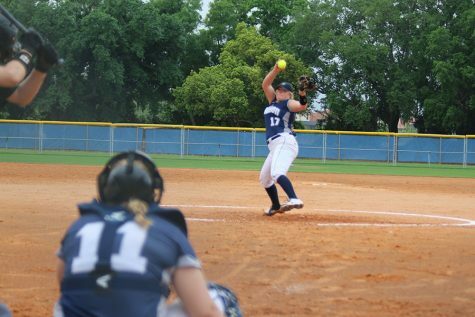 Maddie Fink pitched a complete game for Madison College, allowing just one run on three hits and striking out 10 batters. She improved to 3-2 on the season. The offense continued to roll in the second game, and need to because Black Hawk’s bats came alive as well. Fortunately for the WolfPack, the 10 runs they scored in the first three innings kept them in charge throughout the 16-9 victory. Irene Tomasovic and Ferch both had three hits in the game. Ferch had a home run and a double, while Morgan Dercola added a solo blast of her own. Cathryn Hiller pitched the win and is now 3-1 on the season. She allowed five runs on seven hits in four innings pitched. Brianna Farrington relieved for the final three innings and allowed four runs on 12 hits. Strong hitting has been a near constant for Madison College this season. The team batting average is .384 compared to just .243 for its opponents. Overall, the team has out-scored its opponents 189-91. Tomasovic leads the team in batting average at .517, followed by Dany Gumz (.459), Maegan Brookins (.370) and Cornelissen (.368). Gumz leads the team in home runs with four, followed by Ferch with three. Tomasovic and Gumz have both hit seven doubles to lead the squad. Jordan Martin leads the pitching staff with a 6-2 record, allowing an ERA of 2.76 runs per game. Martin has also struck out 60 batters in 38 innings pitched. Farrington is second in wins with a 4-1 record, with a team-low 2.57 ERA. 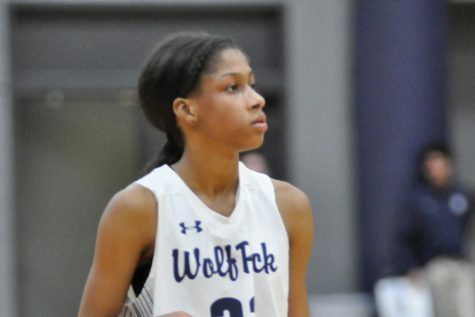 Madison College has road doubleheaders scheduled at the College of DuPage on April 11 and at Highland Community College on April 12. The team’s home opener is Saturday, April 13, with a doubleheader at noon and 2 p.m. against Sauk Valley Community College.